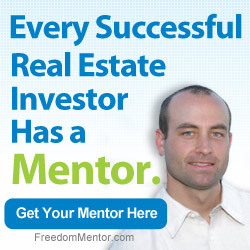 You are here: Home / Blog / Are House Flipping TV Shows Helpful for Investors to Watch? Viewership abounds for house flipping TV shows these days, begging the question for real estate investors whether watching them could be helpful or harmful to their investing endeavors. You’re about to discover an inside look at how viewing these flipping houses reality shows can impact investors (as well as those who are interested in investing). You’ll find out the pros (if any), the cons, and the things to be very aware of when trying to glean insight on flipping houses from what you see on TV. You may even learn a little more about “reality” television than you wanted to know. Most importantly, I’ll answer the question of whether or not house flipping tv shows are helpful for investors to watch. These shows are produced to entertain, not to educate and you should watch these shows purely for entertainment rather than to be educated on how to actually flip houses profitably. As you’re about to read, what makes for good television doesn’t always make for intelligent and productive real estate investing. House Flipping TV shows primarily focus on the actual rehabbing of properties; the process of turning distressed houses into a beautiful homes. In a single episode, the vast majority of the camera time is spent with the fixing up of the property, dealing with the contractors and all the drama that hopefully comes along with it. But in the real world of real estate investing, the less time you spend dealing with rehabbing, and the more time you spend finding great deals, negotiating great deals, reducing expenses through creativity and then exiting the deal to the right buyer or tenant, the more money you will make. Rehabbing houses is actually a minor part of a successful real estate investor’s time, not the majority. Flipping Houses shows highlight ugly houses and their subsequent transformation. The awful looking “before” at the beginning followed by the gorgeous looking “after” at the end make for nice bookends in a TV episode. But what about all the pretty houses that smart investors like myself buy and resell and make huge profits on without ever having a dramatic before and after? There is a ton of investing money made on pretty deals too but that wouldn’t make for good television. Watching all the sledge hammer demolition and other significant renovations that are performed on house flipping tv shows can motivate an investor to rip out, tear down, demolish and remove parts of a house. This is in direct contrast oftentimes to what successful investors do, which includes NOT doing any major work but instead, performing cosmetic fix ups such as new carpet and a fresh coat of paint. A common storyline you’ll see played out in the real world is an over-zealous newbie investor, fresh off of watching a house flipping show episode, taking a sledge hammer to a perfectly good wall and destroying it so that a completely new floor plan configuration can be built. In the end, they lose money on the deal because they over renovated. A good rule of thumb in flipping houses is that if you find yourself with a sledgehammer in your hand, you’re probably about to make a mistake. What you see on TV may not tell the whole story in regards to the final profit numbers. As in the case of one show whereby a blogger determined that the only way the flipper could have broken even was if the materials were donated in exchange for mentioning the actual manufacturer names on the show. And in general, reality TV is not always reality. It’s television and things are changed and adjusted to make the show more entertaining. So you have to take the profit numbers that are shown with a grain of salt. Some may protest that at the very least, one can collect fix up ideas by watching such programs. You won’t get nearly as good of ideas on paint colors, textures, materials, and the like from watching a show filmed in a different market than your own. Instead, take a drive over to a local builder’s model home and study the materials they used to finish that property. There is far more education inherent in a builder’s locally built home than anything you will watch on TV. Studies have shown that your brain is more active while sleeping than when watching television. This effect TV has on your brain can therefore reduce your ability to discern truth from fiction (what I call the signal from noise). That is even further amplified when you are tired, such as late at night. So you have to be even more cognizant of the potential to accept false information when watching TV, especially when you are tired. Some might skeptically be thinking, “You’re just jealous Phil because you don’t have your own show.” Well, I have indeed been contacted by several production companies and casting directors over the years in regards to being a part of, or the star of, a reality tv real estate show. But thus far, we have not been able to find a fit due to the fact that what I do (wisely invest in real estate for maximum rewards and minimal risks) does not typically make for good television. My “before” and “after” pictures of my deals aren’t impressive. I don’t have any drama with my team. In fact, putting a camera on me everyday as I invest wouldn’t yield much entertainment value at all. The only shred of potential drama in my investing would come from motivated sellers but they don’t want to be on camera, showing the whole nation their distressed decision to sell their house to me. So as of the writing of this article, there hasn’t been a show concept that would be entertaining for viewers that films what I do everyday. House Flipping TV Shows are produced for entertainment purposes and there is little regard given to educating viewers on how to flip houses productively. 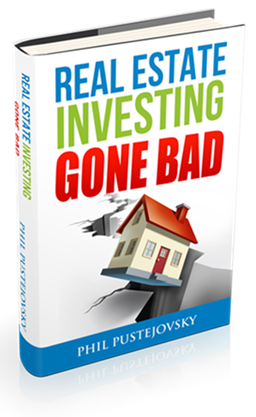 In fact, if you are, or plan to become, a real estate investor, you would probably be better off finding some other programming to entertain you because inadvertently, you may be influenced by what you watch and begin to make poor investing decisions. That’s may take on the matter, what’s yours? Excellent article and right on ! I agree with you Phil, realestate investing does not always involve tearing down walls. I am new to the game and my first deal was cash and I flipped it to another investor for a $9,000 profit. In hindsight I feel that I should have gotten more for that property, but I completed my first deal and moved on. Now a little wiser I am ready for my second deal. You mentioned in your video that you sometimes partner with other investors. I’d like more insight on that. I love to watch your videos. You tell it like it is!……with animation and enthusiasm! I would love to be a full-time student of yours, but do not have the time or resources right now. Hopefully in a few months, I can at least get my husband involved. He would have the necessary verbal skills required to facilitate contracts. He just needs a little of your magic mentoring! My husband and I desire to buy our first home and we have considered buying a home that has to be fixed up as you would say extensively like some roof, wall and update meter box wiring. I am not really familiar with the show you referenced but I am committed to rehabbing a place to call home. What is your perspective on this. On an individual deal? $5,000 on the low end to much much more. I have an apprentice who is going to make over $140,000 on his first deal. Your are right Phil I can not learn much from watching these shows. Many of the house flipping shows make it look to easy. Even though on some episodes they may run behind schedule and are over budget on a project it seems they always come out ahead. They never really seem to show a more realistic situations. Phil your the best at what you do we need you dont get caught up in that tv drama your heaven sent your a blessing and one of the few that speaks the truth and keeps it real we love you my brother. Thank you for giving me the big picture. I love to watch “Flipping Vegas.” I have always thought the profits were exaggerated, and that he was getting price breaks on all the materials and labor going into the work. He’s definitely not paying retail prices. Additionally, the homes must be foreclosures, because they are always in such bad shape. I personally think you are the best. I seem to pick up on your honesty and you lack of needing to, for lack of a better statement, bad mouth competition. I do agree with you on the TC shows. I know that TV also brain washes. I watched your video about rehab television shows. Great stuff. You gotta wonder why they are smashing out windows with hammers instead of just taking them out of the frames. Entertainment! 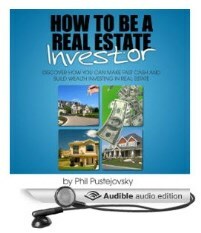 I am new to real estate investing and dare I say, “wholesaling”. I am very motivated and want to be able to quit my “day job” and do real estate full time. I look forward to your future videos. What do you think of Investment clubs for networking. What do you think about networking at all? Thank in advance for any information you can pass on. Roy. Just like smart phones “have an app for that”, my website “has an article for that”. Should You Attend Local Investment Club Meetings? You generated some positive points in your video in relation whether not tv is a great source for real estate investors. Thanks I agreed with everything you said it helped me out a lot. I get excited when my e-mail has listed a free video from you for me to watch. On those television shows that you talked about are entertaining and I do agree with you. We do watch them sometimes and dream about buying one of the beach houses they show one day. Anyway, as you may know some of this shows are rigged. I know for fact that a friend of mine (young couple) were approached by House Hunter show to be on their show on TV. She told me the house they picked was actually their house that they bought recently and owned already! what they got out of the show was some small renovation to the kitchen and some house worming gifts (as you said they probably were free to the producers too!). I’ll admit. I’m pretty guilty of watching rehab shows. And after hearing what you said, you’re right. TV producers want to take the run down houses and turn them into really nice houses. I renovated my apartment in New York and I hope other people are reading this, but rehab/renovation can get really expensive and I went 25% over budget over what I originally budgeted for. So after putting 2 and 2 together, what’s “advertised” in reality shows isn’t really realistic. Thank you for helping me to remind myself of the reality that investors go through. As a new investor myself, I’m learning to be very cautious. You could not have described it any better than you did. I have been asked many times to help someone get started in flipping because they have watched these shows and the first thing I tell them is to forget everything they have seen onTV. You absolutely right about it .Lot of my friends telling me just knock everything down and rebuild anew. It runs your cost up eats your profit and time. Some times you brake something then you have to go in lot more repairs that you counted on. And when you doing some work to your desires it does not mean that buyer needs it. It can be small guy doing construction for living can be investor buying rentals, or can be somebody looking for home them they may get it all redone at their own desires . And those shows like wrestling its all only show to bring audience. but some people after demolition do not know what to do next. I enjoy your videos and have book marked ALL OF THEM, you are wonderful with your educational side of real estate. I do hope that my future will provide me with the resources to become a successful student of yours. I I’m a dedicated watcher of these shows. And at time when you see the amount of problems they encounter after tearing down the walls . Its a lot if money for repairs and most times they dont really stay on budget. But on the other hand most of these people are actually going to live in these houses, I would understand. for an investor we would loose so much money trying to keep up with that scale of renovation. You’re right we should spend our time learning to do great deals instead of the brain vain shows. I intend to do that thanks Phil. EVER READ TO UNDER STAND MONEY AND INVESTING .BESIDES WARREN BUFFET INVESTING BOOKS. THANK YOU FOR SHOWING MR.EKER BOOK ON YOUR VIDEO. I agree with you Phil and I love watching your videos I always learn a lot besides I love your energy! I just wanted to say that if ever you DO have a show where you mentor a student please put me on the top of the list! lol Probably won’t happen but a girl’s gotta try lol Thank you and keep up the great work! As a junky for these flipping shows I always wondered why I’m still confused after watching them if I should look more deeper in to real estate, now that you cleared my mind it makes a lot of sense that it’s just entertainment. Hello Phil, thanks for this information, my wife and I have been looking for a house for a while now and I’ve been obsessed with the show flip or flop that makes everything dramatic and near impossible. This is a big eye opener because we been looking and hoping for this big transformation and what to change and what to move. We will try a different approach going forward. Thanks a million for educating us. But I have a question of underwater properties. What to do with them, and how you would approach the way to make it so I stop losing money. It’s rented out so I have a little help. I was told that I can only sell it but will have to owe money and must pay what I owe. That would be about $25,000 to $30,000. What shall I do about a situation like this?